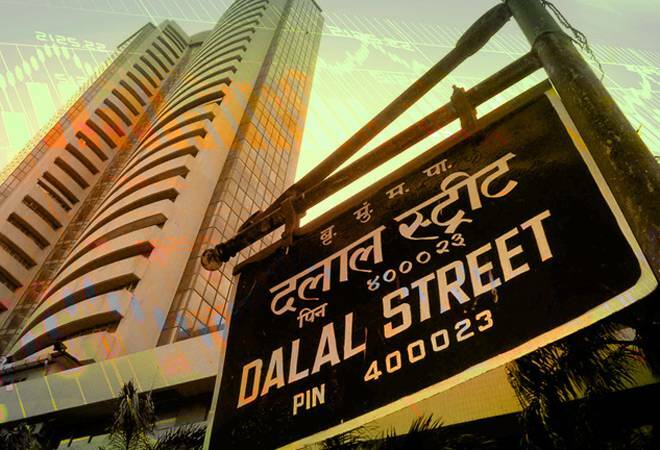 The Sensex touched an all-time high of 38,736 with 29 of the 30 components trading in the green. The Nifty was just short of hitting the key 11,700 level after reaching a record high of 11,695 in trade today. The Sensex and Nifty surged to their all-time highs in trade today on positive cues from global markets. While the Sensex has gained nearly 14% since the beginning of this year, the Nifty rose over 11% during the same period. The Sensex touched an all-time high of 38,736 with 29 of the 30 components trading in the green. The Nifty was just short of hitting the key 11,700 level after reaching a record high of 11,695 in trade today. Top Sensex gainers were PowerGrid, Bharti Airtel and ICICI Bank. Banking stocks led the rally with the BSE bankex rising 1.67% or 524 points to 31,968 level. Here's a look at factors which took the indices to fresh highs in trade today. The rupee which hit an all-time low of 70.33 level to the dollar last week has recovered lost ground. The currency opened 15 paise higher at 69.76 level compared to a weakening dollar. Higher currency at home led to improved sentiment in the market. On the other hand, the dollar index against a basket of six major currencies lost 0.1 percent to 95.07, after slipping more than 0.5 percent in the previous session. Foreign institutional investors have poured in Rs 1,000 crore in August and invested in Indian securities worth Rs 491 crore in July. Domestic institutional investors too have contributed to the positive sentiment in the market by investing Rs 2,217.15 crore since the beginning of this month. Global markets rose today as dovish comments from US Federal Reserve Chairman Jerome Powell assured investors that the country's economic growth was on track amid simmering trade tensions with China. In Europe, Germany's DAX gained 0.4 percent to 12,437.74. The CAC 40 in France was 0.4 percent higher at 5,451.37. British markets were closed for a summer bank holiday. Major US indexes were set to open higher. S&P 500 futures added 0.2 percent to 2,883.75. Strong corporate earnings have boosted the benchmark index, which closed Friday at an all-time high. Dow futures rose 0.3 percent to 25,871.00. Japan's benchmark Nikkei 225 index added 0.9 percent to 22,799.64 and South Korea's Kospi rose 0.3 percent to 2,299.30. Hong Kong's Hang Seng jumped 2.2 percent to 28,271.27. The Shanghai Composite rebounded 1.9 percent to 2,780.90. Australia's S&P/ASX 200 gained 0.3 percent to 6,268.87. Taiwan's benchmark rose and Southeast Asian indexes were mostly higher. On Friday, the S&P500 index and Nasdaq Composite hit record highs, following comments from the chairman of the US Federal Reserve, Jerome Powell, who said a gradual approach to raising rates was best to protect the US economy and job growth. US Federal Reserve Chairman Jerome Powell sketched a positive picture of the US economy on Friday and said the Fed's incremental approach to raising rates has so far succeeded. "The economy is strong. Inflation is near our 2 percent objective, and most people who want a job are finding one. We are setting policy to do what monetary policy can do to support continued growth, a strong labor market and inflation near 2 percent," Powell said, at an annual conference of central bankers in Jackson Hole, Wyoming. The chairman's measured tone about the economy and his message that the Fed plans to stick with a gradual pace of rate hikes appeared to sit well with investors. The Dow Jones industrial average closed up 133 points - about half a percentage point - and bond prices rose as well. China's central bank on Monday lifted its official yuan midpoint more than expected to 6.8508 per dollar after it re-introduced a counter-cyclical factor to its daily fixing mechanism to support the currency. The yuan hit a 2.5-week high versus the dollar after China's central bank revived a "counter-cyclical factor" in its daily fixing to support the currency, arresting a record 10-week slide that has rattled global markets and irritated Washington.